Improve your Audi A4/A5/Q5 performance by replacing your OEM air filter with the K&N Drop-in Filter. The K&N Drop-in Filter is a direct OEM replacement so installation is a breeze. If you want an easy way to increase your horsepower and acceleration, then you need to get the K&N Drop-in Filter for your Audi. The OEM air filter is made of flimsy paper that does little to filter your engine. In fact, after a while, the OEM air filter will clog causing a loss in power which forces your engine to work harder. 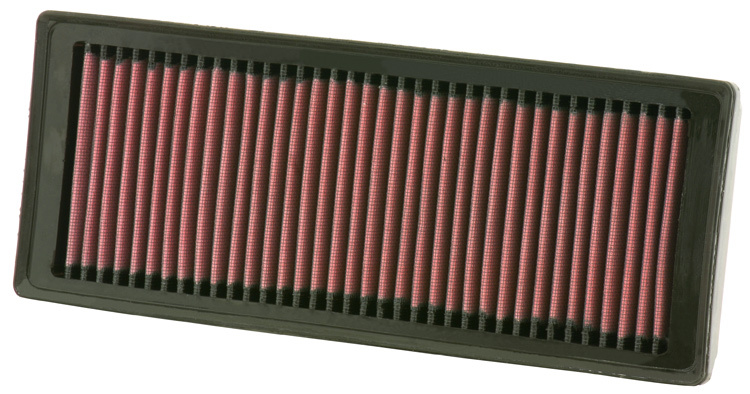 Replace your OEM air filter with the K&N Drop-in Filter for your Audi to increase power and gas mileage. K&N uses a cotton gauze air filter for better airflow to your engine. The K&N Drop-in Filter is washable and reusable so you never have to buy another replacement filter again. All K&N air filters come with their Million Mile Limited Warranty. The K&N Drop-in Filter for Audi is a beginner-level installation. Basic hand tools may be required.